Grandmaster Spas Marbella offers the most innovative spa massage features ever developed Each Passion Spa has a variety of massage features that will create the ultimate in hydrotherapy relief for you. Through years of experience and close cooperation with physiotherapists, we have designed a variety of massage experiences that are unique to Grandmaster Spas. 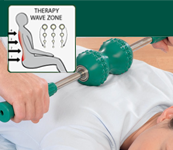 The Intense Therapy Zone™ provides a concentrated, penetrating massage to the lower regions of your back. The intensity of the pressure can be adjusted. 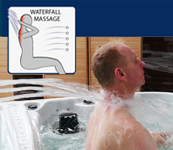 Only Passion Spas offers a therapy system for your lower back muscles that allows you to isolate specific areas with the intensity of massage you desire. The Levitation bed™ is the most innovative spa massage feature available. 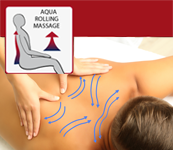 Experiencing this massage will give you a floating sensation because your body is completely enveloped in a soothing massage that can be adjusted for intensity and effect. You can lie either face down or face up, giving you a full head to toe massage that is simply amazing. 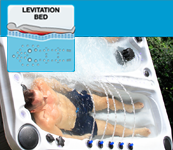 The Levitation Bed™ is the only one of its kind and offered exclusively by Grandmaster Spas.